Oh, that we would never forget! God did not ask for us to take on sorrow and pain alone, nor did he ask it from us without walking through it himself. 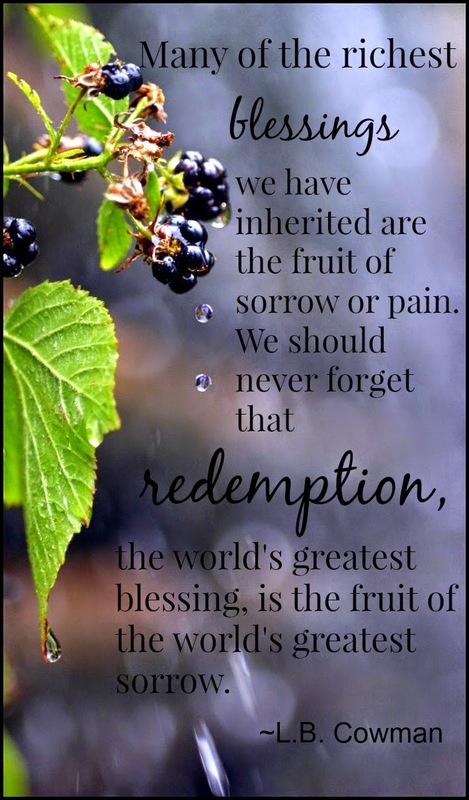 Pain and sorrow often produce the sweetest fruit. The biggest blessings. While we cannot see it during the growing season, we will taste it once the harvest has ripened. Praying that if you are walking a difficult road today, that God will give you a foretaste of the fruit sprouting up from this moment and bring encouragement into your life today. What a beautiful quote. Thanks for sharing.